Logitech has launched its 2018 M238 Marvel Wireless Collection, allowing consumers to support their favorite Marvel super heroes through its latest wireless mouse. 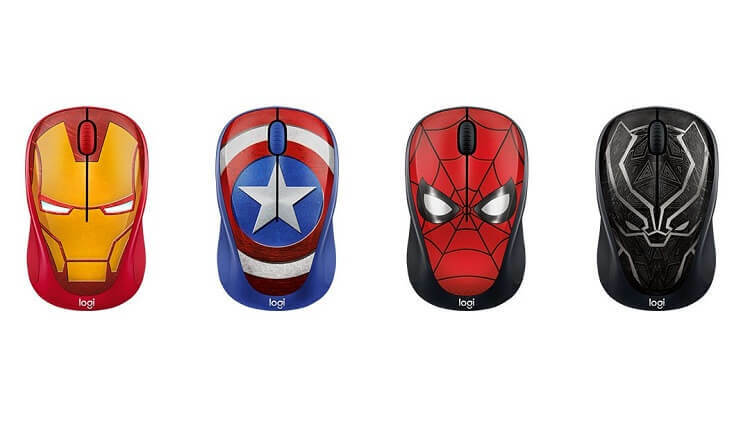 The brand’s newest M238 wireless mouse comes with four Marvel designs including Captain America, Iron Man, Black Panther, and Spider-Man. Through this, Logitech eyes to deliver some fun, where users can add personality to their desk. The M238 wireless mouse that features a compact, flexible, and portable design to allow consumers use it whenever they need to work. The device enables users to navigate smoothly through web pages and documents through its comfortable scroll wheel, too. Users also don’t have to worry about its stamina because it could last for almost 12 months on a single, pre-installed battery. Moreover, the M238 wireless mouse is compatible with Microsoft Windows, Mac, Chrome OS, and Linux. It sports nano USB receiver, too, that lets consumers use it from up to 33 feet away. The Logitech M238 Marvel Collection is now available, and is priced at Php1,190.